MyPressi TWSIT is coming to Hong Kong! As the exclusive agent of ‘MyPressi TWIST’ for Hong Kong, Coffee DeAmour will bring in this stylish new, innovative and award-winning home espresso product starting June 18th 2010. 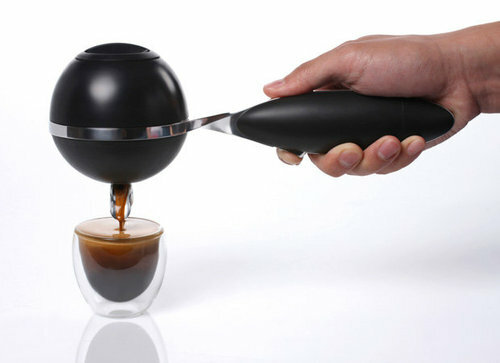 The TWIST requires no external power to produce a single or double shot of espresso and can use either fresh ground coffee or ESE coffee pods. All you need to do is simply load the ground coffee or insert an ESE pod, then pour in some hot water and pull the trigger! Approx. 25 seconds later you’ll have finished a great espresso shot. The clean-up is just as easy; empty the coffee, give ‘MyPressi TWIST’ a quick rinse and you’re done. Unlike other brand nespresso machines on the market, ‘MyPressi TWSIT’ can take your preferred ground coffee or your favorite type of ESE coffee pod. Combine great coffee, with great equipment and after receiving your MyPressi TWIST Barista Training, you’ll be producing coffee shots comparable to those using commercial espresso machines. You can also use ‘MyPressi TWIST’ to create an espresso for a variety of specialty drinks and desserts. An example of just some of the drinks possible with ‘MyPressi Twist’ is espresso for cappuccino, for mocha’s and lattes to affogatos, iced and frozen coffee drinks, espressotinis, machiattos and there’s lot’s more. ‘MyPressi TWIST’ is the must-have portable espresso maker for those seeking a truly delicious espresso, anytime, anyplace. 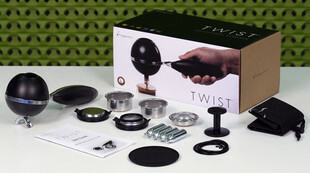 MyPressi TWIST will be available on sale to the public in Hong Kong as from June 18th, 2010. Priced at HK$2,350, the start-up pack from Coffee De Amour includes the full ‘MyPressi TWSIT’ set, a professional training course and 2 x 250g bags of the select coffee beans range available. ‘MyPressi TWIST’ also comes with 12 months manufacturers warranty. If you order your start-up pack from Coffee De Amour before June 21, 2010, you can get the ‘MyPressi TWIST startup-pack’ at a Pre-sale discounted price of HK$2,115. Simply register as a Coffee De Amour memeber if not already done to be entitled to the special offer. This package is designed for the Espresso Coffee professional who doesn’t require training & coffee beans. The ‘MyPressi TWIST’ less the training and Coffee beans can be ordered from Coffee De Amour for a special price of HKD1,480. This is a limited and special offer and a real bargain as ‘MyPressi TWIST’ from neighbouring Hong Kong countries has just been launched at discounted prices of around NT10,800 (HKD2,604). 2 x 250g Coffee Beans of your choice. FREE shipping for Hong Kong delivery! ORDER NOW! by filling out our Order Form.